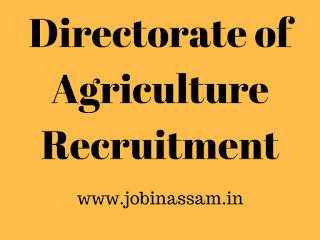 Applications are invited from intending eligible candidates who are Indian Citizens as defined in Article 5 to 8 of the Constitution of India for the under mentioned Contractual Posts under CSS-ATMA (N MAET), Directorate of Agriculture, Assam. The selected candidate will be paid a fixed monthly remuneration only.lt may be noted that these posts are purely temporary and co-terminus with the project & subject to satisfactory fulfillment of other terms & conditions as specified. 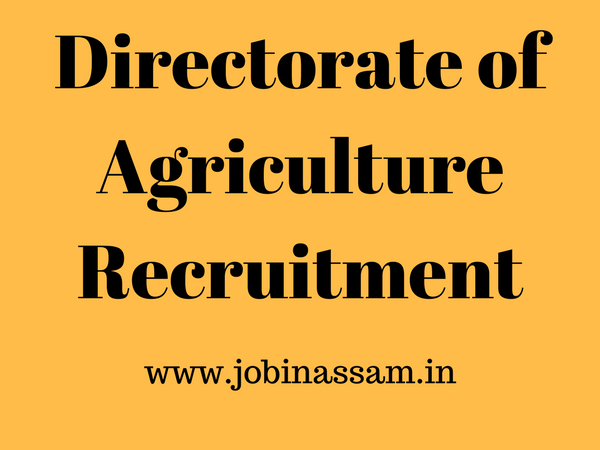 Please read this article till the end to know details eligibility criteria, application process and selection process for the Directorate of Agriculture job. Minimum Experience: Minimum 10 years experience in Coordination and Planning for Ph.D. and 20years of Masters. Educational Qualification: Post Graduate in Agriculture, Human Resource Development, Information Technology, Marketing/ Post-Harvest Technology Veterinary, Fishery. Minimum Experience: Minimum 3 years Experience in Accountancy in a reputed organization to the satisfaction to the State Govt& knowledge on the operation of Tally. Minimum Experience: Preferably 1year Experience. Candidates are requested to visit http://NMAET.css-atmaassamrecruitment2017.com for submission of online Application as per prescribed online form. Candidate can submit an application through online from 17 1h September 2017.The last date of receipt of online Application is 11th October 2017 and application receipt after the last date will not be entertained. Application Fee: Candidate will have to pay application fees of Rs 250/- only (for General and OBC) and the candidates from reserved categories (SC/ST) will have to pay Rs 125/-only along with submission of online application form. The payment will have to be made through online only. Written test: OMR based written test will be held in the various center of 26 districts of Assam. There is so much happening around the world all the time that it becomes difficult for people to keep abreast with all the latest developments around the globe. So, people usually prefer a single source for their general knowledge needs. Lucent’s Objective General Knowledge is one such book that fulfills that requirement.